After entering the spring season with high expectations, the CFHS women’s soccer team has answered the bell thus far. 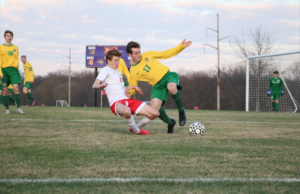 Last Thursday, the Tigers recorded a 3-2 victory over a previously undefeated Cedar Rapids Xavier team. The victory propelled the Tigers to a 7-2 record for the season. With the exception of a Saturday double header in which the Tigers were swept by Dubuque Senior and Dubuque Hempstead, they have been nearly flawless. Using a mix of experienced veterans and young talent along with first-year head coach Beth Huber’s fast-paced style of play, the tigers have scored goals at break-neck pace. Senior forward Aimee Rasmusson along with junior Anna Twito, who were among the leading scorers in the Mississippi Valley Conference a year ago, are the top two scorers once again for the Tigers. Junior forward Danielle Goetz, along with senior midfielders Kira Anderson, Melissa Gavin and Megan Panicucci and freshman midfielder Megan Hullerman have also provided valuable offensive punch. “When our offense click like it has been lately, we can be pretty tough to beat,” Panicucci said. While the offense has been impressive for the Tigers, strong defensive play has also been a key ingredient. Senior Crystal Trampel along with junior Hillary Larson and sophomore Kassie Adams are the defensive starters, while senior Danielle Berregaard is the goalie. More so than in recent years, depth has been an integral part of the Tigers’ fast start. The new, fast-paced system employed by Huber requires quality depth with a lot of substitutions. The Tigers have high goals for the remainder of the season. In addition to winning their remaining conference games, the Tigers have hopes of a rematch with Wahlert in the substate final. Last year, Wahlert handed the Tigers a heartbreaking loss and went on to win the state title. 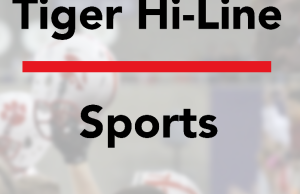 The Tigers played host to a ranked Cedar Rapids Kennedy team last night and have a double header with Linn-Mar and Cedar Rapids Jefferson on Saturday.